Baguio City, Philippines: Team Lakay were honored with a Champions Parade last Sunday, 2 December. 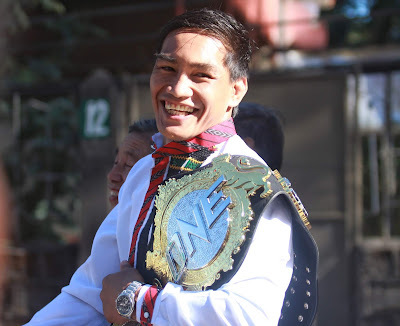 Members of the world champion martial arts stable took to the streets of Baguio City in a motorcade to celebrate their achievements in 2018. In attendance were ONE Championship superstars including ONE Lightweight World Champion Eduard “Landslide” Folayang, ONE Bantamweight World Champion Kevin “The Silencer” Belingon, ONE Flyweight World Champion Geje “Gravity” Eustaquio, and ONE Strawweight World Champion Joshua “The Passion” Pacio. Accompanying the ONE World Champions were teammates Honorio “The Rock” Banario, Edward “The Ferocious” Kelly, Stephen “The Sniper” Loman, as well as Team Lakay head coach Mark Sangiao, among others.